The Philips Avance XL digital Airfryer revolutionizes the food preparation process. Basically what this neat kitchen appliance allows you to do is cook healthy, quick meals with less effort. To do so, Philips patented the rapid air technology to make sure they have exclusive rights to it, and it was a wise move. Since there are higher numbers of high cholesterol and blood pressure sufferers, the food industry is facing an evolution in the future. There is a high necessity for healthier eating processes and Philips Airfryer XL baking tray definitely does not disappoint. With this model you can cook healthy food with less fat than ever - even up to 75% less, which is pretty amazing. The food will be cooked evenly, in whichever of 6 options you prefer and you can enjoy these delights quilt-free. Keep reading to decide whether this Philips Airfryer XL Avance Model HD9240 is the right choice for you. How Does Philips Air Fryer Work? The most oil this Philips Airfryer XL will require is up to 1 spoon of oil, which is revolutionary in our culture of deep fried delights. The time is now to take care of our health, and this Philips Airfryer XL Avance Model HD9240 will allow you to do that. Other than the low need for oil, Philips Airfryer XL has 6 cooking methods. 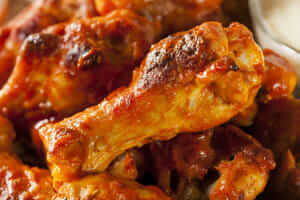 These include: frying, baking, steaming, sautéing, grilling, and roasting. With most methods the Philips Airfryer XL was up to the task, except steaming. The issue is: to steam the food you need to add the water, but adding liquids to the basket is forbidden for safety reasons. That means you would need to bay additionally the pan accessory that would allow you to add water safely. Although this is an unnecessary inconvenience, it does not say anything ill of the cooking process of the HD9240 model, just the manufacturers planning. Additionally, if you want to change your diet but you need inspiration, there are several recipes available for customers. The special delight are original recipes by Gordon Ramsay, which might make you feel like a cooking superstar yourself. It’s big! The huge plus side of HD9240 model is its size because it allows you to make lots of food at the same time. That means that a whole batch of french-fries will be done in a matter of minutes. This is great news for large families and frequent party hosts - it will save you a lot of troubles preparing snacks and dinners. What Does Rapid Air Technology Actually Means? It means that the good guys at Philips made sure you have the healthiest cooking tech there is. The hot air circulates inside the Philips Airfryer XL, allowing you to cook your food quickly and precisely with nothing but air. The cooking is faster with this technology, than with your usual appliances. The results are also healthier because the turbo cyclonic air replaces oil almost completely. Be careful with this feature, tough! The back vent of the model releases hot steam and it’s important to not cover it, as it says in the manual. The temperature in the Philips HD9240 model goes as high as 390 degrees. 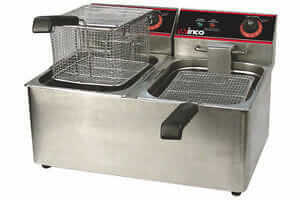 Although the manufacturer claims the highest temperatures can be reached in a matter of seconds, the model actually needs a couple of minutes. With that said, it still heats up pretty fast; faster than most ovens. This is great because you can easily adapt the environment to any type of food or cooking process that you want. 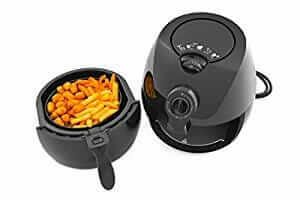 What is great about this Philips Airfryer XL Avance Model HD9240 is its Auto Shut Off feature. This means no more thinking whether or not the stove is off - if any critical situation arises, it will shut off. 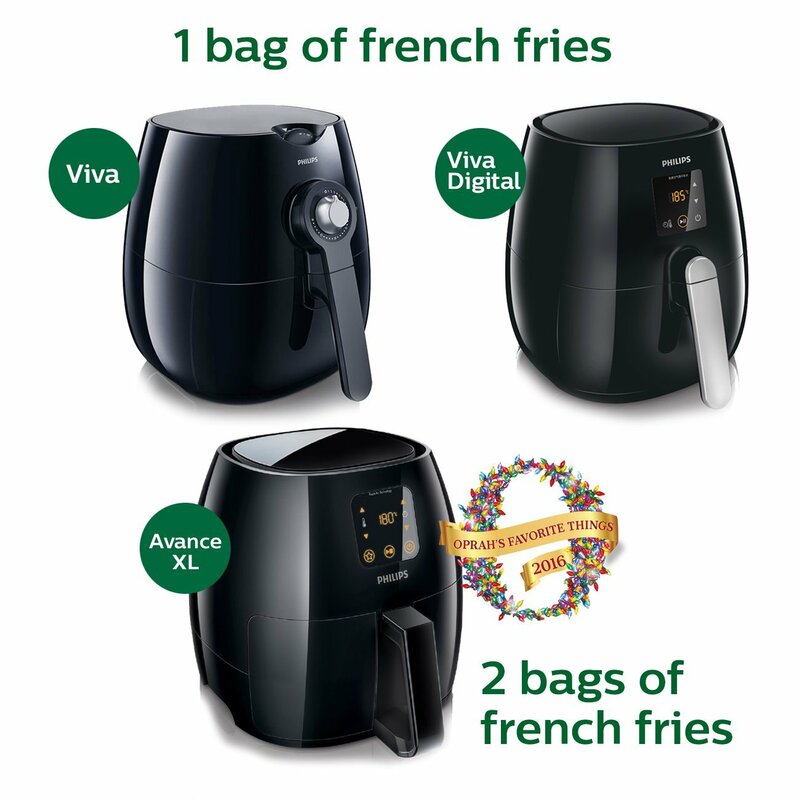 With Airfryer XL it’s time for a peace of mind, and that is priceless. The HD9240 model has a smart digital interface with even smarter buttons. The custom recipes are there and ready to go. There’s also the special favorite program that allows you to make your favorite foods even faster. Among the pre-set choices are these seven: fries, chops, shrimps, backed goods, chicken, stake and fish. For each of these choices there are set temperature and time values for the best results. In most reviews, the fries program did perfectly, while some other programs needed a bit tweaking. That is where you can use the custom button which allows you to save your favorite program for frequent use. Worth noting is that switching between these programs is super easy - you only need to click the button M until desired program is chosen. Last but not the least, our favorite is the 60 minute timer. This means no more constant time check or the ever annoying use of alarms on Smartphone. You choose the program and the time, and then I can carry on with other errands. With this in mind, the Philips HD9240 model is golden for the ultimate multitasker. Finally - a kitchen appliance which clean up is easy! 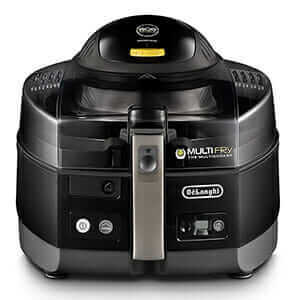 Cleaning the Philips Airfryer XL is pretty easy, but not as easy as the manual lets you believe. Although you can wash the capacity basket in the dishwasher, the rest of the parts are not dishwasher friendly. And some of the customers have mentioned that they had a smoking issue. b) you need to clean the heating element more frequently. That means that HD9240 model will not fail you if you don’t fail it with proper maintenance. Bacis package doesn’t include additional accessories. That means that if you need any of accessories, you’re going to have to order them separately. Namely, the most popular accessories to this Philips Airfryer XL are the grill pan with perforated surface and a double layer rack with skewers. It would be wise to remember that the pan we would need for steaming is also an additional accessory, so you would have to invest in it. The Philips Airfryer’s dimensions are 16.6 x 12.4 x 11.9 inches, which makes it a little bit challenging to store. The weight of the Philips Airfryer XL Avance Model HD9240 is 19 pounds. There is a one year Philips warranty, that seems to be accessible only from products from US and Canada. If you are health conscious, Philips Avance XL digital airfryer is your solution for many problems. Although pricy, Philips Airfryer XL baking tray is definitely cheaper than medical costs connected to high cholesterol and blood pressure. Health, after all, is priceless like Philips Viva Airfryer. 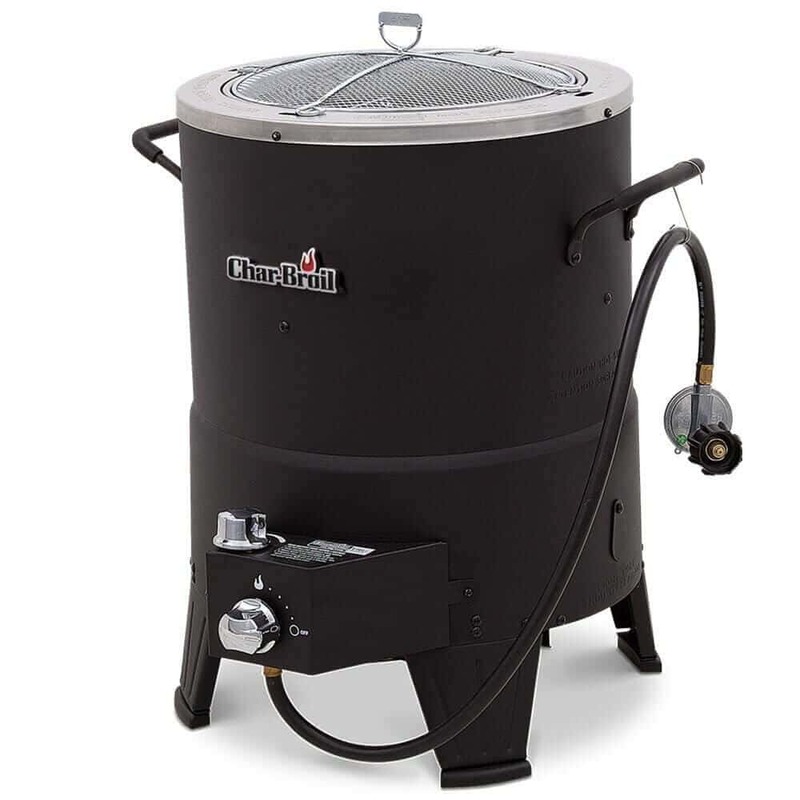 Don't miss our selection of Top Rated Best Air Fryers. Worth mentioning is that this product gets thumbs up by both Gordon Ramsay and Oprah. Gordon Ramsay is a chef of high taste and is famous for its high standards when it comes to kitchen. Oprah included the Philips Airfryer in her favorite things for 2016, so you know she’s a true fan. Don’t waste your time before you become one too! What about you? Have you tried oil less cooking before? 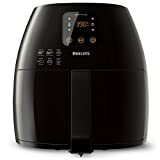 Do you have experience with Philips Airfryer XL Avance Model HD9240?